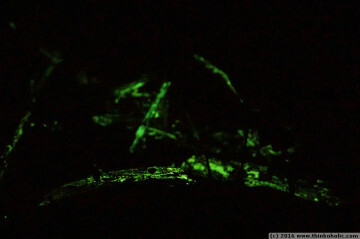 i’ve always been fascinated by bioluminescent phenomena. 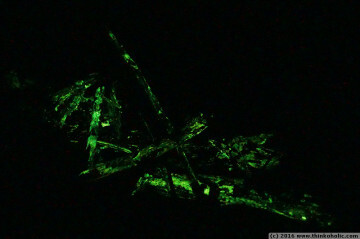 in a relatively wide range of organisms, evolution at some point produced species that can produce light, from marine plankton in warm seas, to fireflies, to the famous deep sea anglerfish. lesser known is the fact that damp wood can also give off a very faint glow in the forest at night. 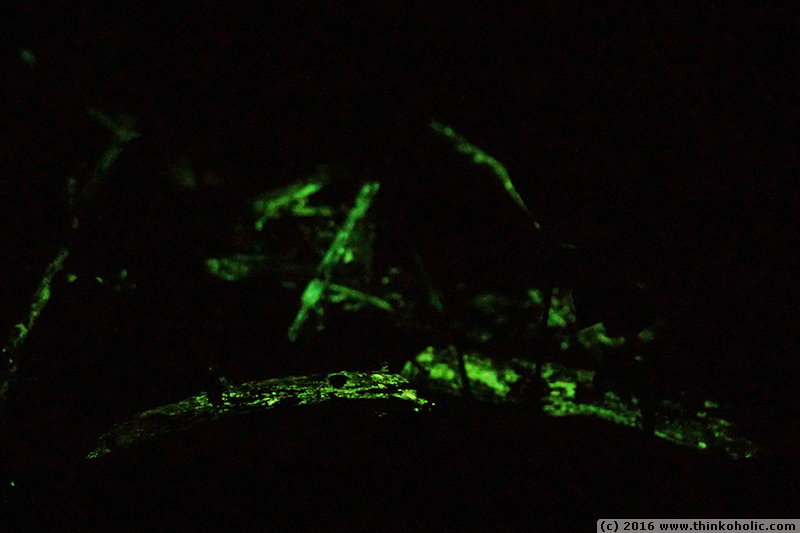 the bioluminescence in this case is produced by fungi, whose mycelium as well as fruiting bodies glow faintly. it is believed that this helps attract insects that will disperse their spores. 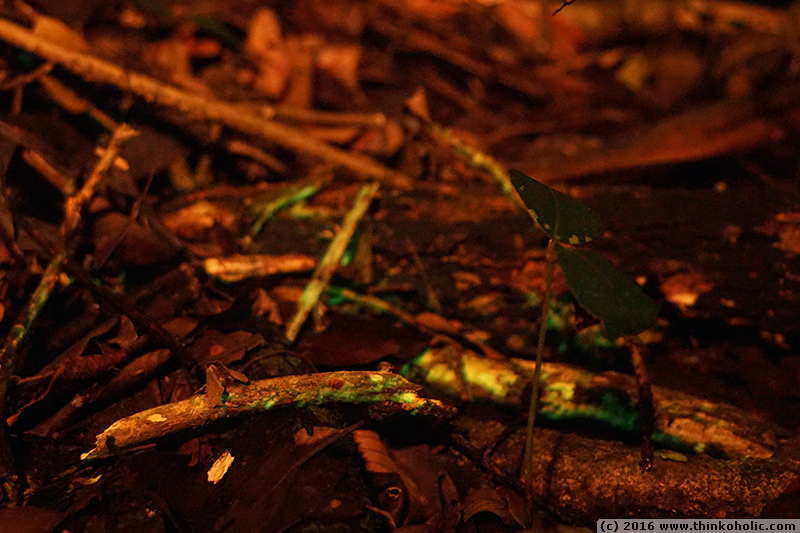 a recent research trip to the daintree rainforest in far north queensland, australia, gave me a first opportunity to see bioluminescent fungi. 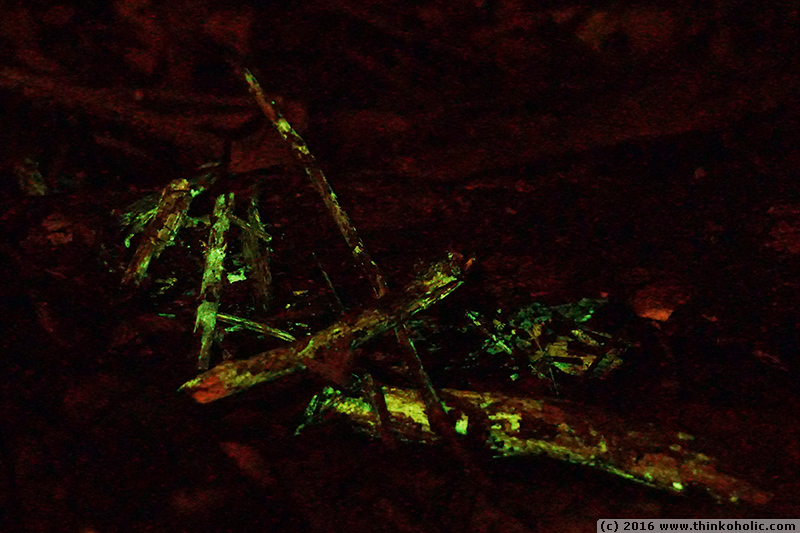 sadly there were no fruiting bodies to be found, but as soon as we switched off our flashlights in the rainforest, patches of glowing, decomposing twigs and wood became visible. the long-exposure photos above show what this looks like, although to the naked eye the effect is much weaker. 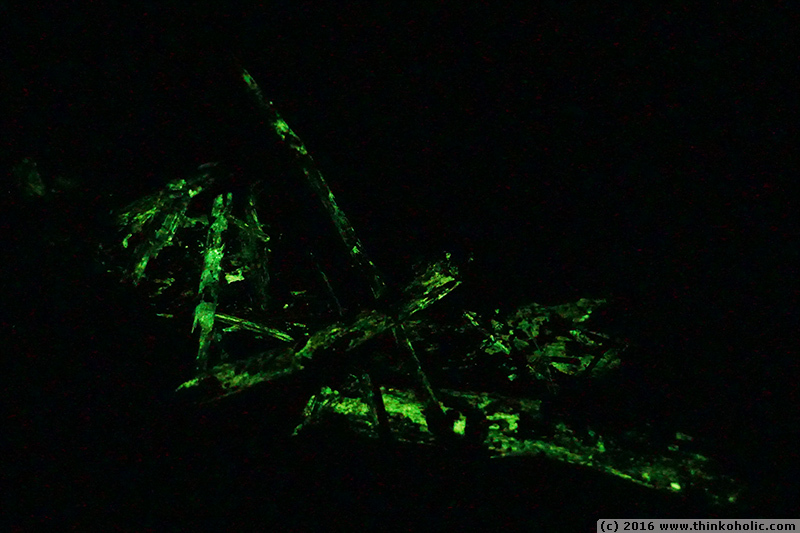 a second, lit-up version was recorded with the help of a short, very weak indirect “flash” of light from a headtorch.